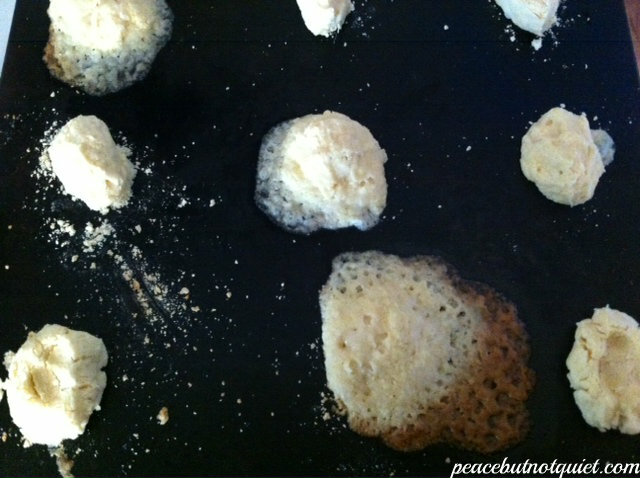 Last year, around Christmastime, I wrote this post about my sad, sad baking failures. It did not occur to me at the time that this could become an annual series…because it did not occur to me at the time exactly how often I screw things up. So as I sit in my pitifully under-decorated house (there’s a line between “simple and elegant” holiday decorating and “Wait, what? 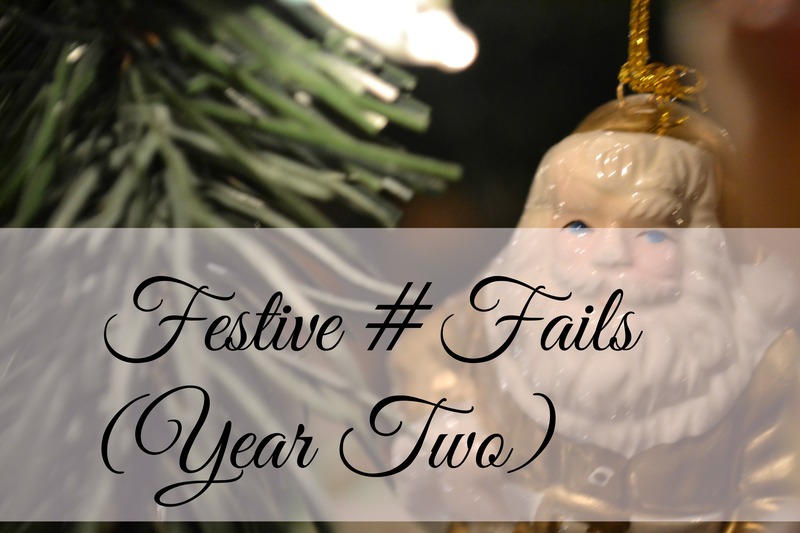 It’s Christmas?” decorating that I haven’t found yet), let’s take a little photo journey through my festive #fails of the season. They’re bound to make you feel better by comparison. Especially since, at one point, I set my stove on fire. My first attempt at Mint Fudge Brownies. Burned on the outside. Liquid on the inside. Also? 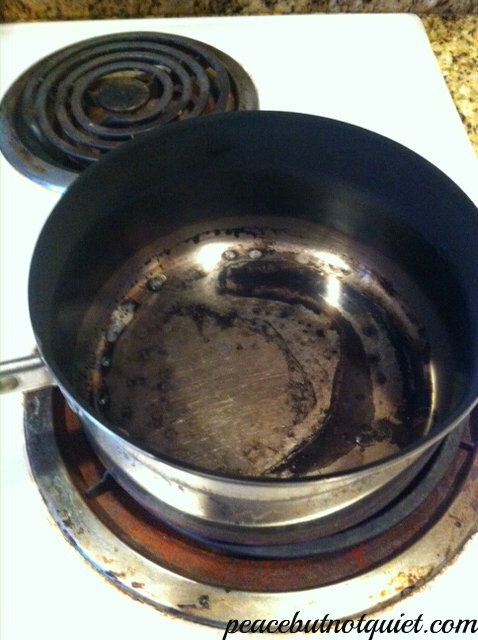 The pan took me 45 minutes to clean…for brownies I didn’t even get to eat. Holiday bread I was going to take to the neighbors. 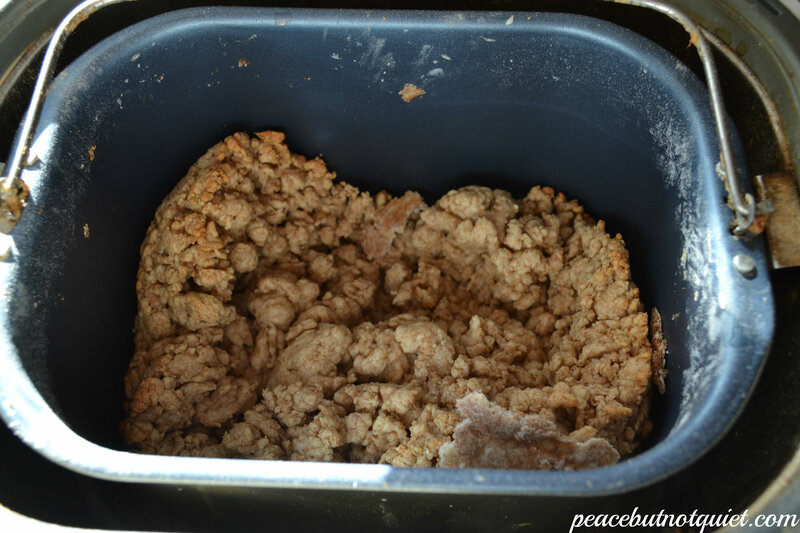 This picture is deceptive because it looks like it might be an okay mixture…until we learn that this was after it was mixed…and kneaded…and rose…and baked. This is the final product. It was half-an-inch thick. Butter cookies. My second project intended for the neighbors. Instead, I’m printing out a copy of this post and giving it to them in their Christmas cards. I’m done. The aftermath of the kitchen fire I told you about earlier. It started when I heated oil on the stove to make stovetop popcorn and sort of forgot about it until a tiny voice called out, “Moooom? The stove is on fire…” I wish I had taken a picture of the actual fire. But the flames were licking our wood shelving and I was holding the fire extinguisher and trying to non-hysterically move the kids toward the nearest exit, and I sort of forgot about the photo op until afterward. Next time. Because there will be a next time. Not more fires, I don’t think, but certainly more #fails. I’m getting quite good at them. Merry Christmas! What are you baking (either successfully…or not so much) this season?